BUENOS AIRES, Jul 11 2013 (IPS) - The debate over the reform of Argentina’s seed law has pitted transnational corporations that make transgenic seeds against social and rural organisations and academics opposed to the expansion of monoculture in defence of biodiversity and food security. Over a year ago, the agriculture ministry said it would present a bill to overhaul a 1973 law on seeds that was modified several times to accommodate the expansion of monoculture and genetically modified seeds since the 1990s. GM soy is now Argentina’s chief export. But the ministry has not yet introduced a bill, although it has two drafts. Argentina’s seeds association, which represents biotech companies, supports the ministry’s efforts to draw up a new law. However, the proposed reform has drawn criticism from those who see it as an attempt to restrict farmers from saving or selling their own seeds for further planting. 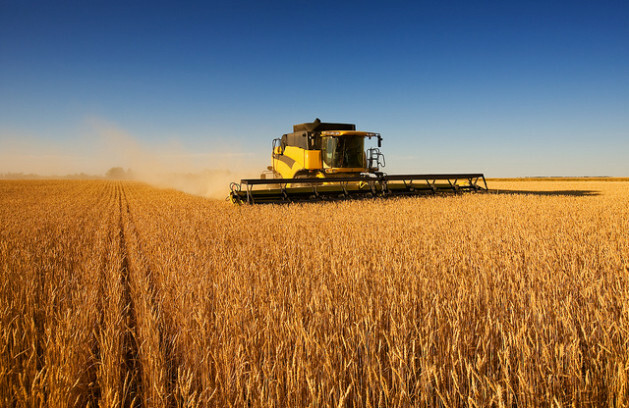 The companies argue that the world requires higher crop yields per hectare to meet the growing demand for food. They also say a law to regulate and control the market for seeds would guarantee the recovery of the investment made in research and development of GM seeds. But those opposed to the expansion of GM crops say they undermine biodiversity, increase agriculture’s vulnerability to climate change, and threaten the survival of rural families, who carry out the important task of selecting and storing the best seeds for replanting. In Argentina, the world’s third-largest producer of soy, around 98 percent of the crop is Monsanto’s Roundup Ready soy, which is resistant to the company’s own glyphosate herbicide. In addition, 80 percent of the maize grown in Argentina is transgenic. The U.S. biotech giant plans to build a new plant to produce GM maize seed in the central Argentine province of Córdoba in 2014, which will produce 60,000 tons of seed a year. The idea, the company says on its web site, is to contribute to the goal of doubling food production by 2050. But alongside that pledge, Monsanto plans to step up control over the seeds it produces. Carlos Carballo, professor of food sovereignty in the Agronomy Faculty of the University of Buenos Aires, said the expansion of GM seeds threatens the diversity of native seeds that are adapted to the soil and climate conditions of each region. “Seeds aren’t merchandise; they are part of humanity’s heritage,” Carballo told IPS. The Argentine government’s plan for bolstering food production foresees the continued expansion of GM soy and corn monoculture, which will lead to “a mass expulsion of small farmers” from the countryside, he said. Land conflicts are already a reality in Argentina. A study by the agriculture ministry and the National University of San Martín reported in 2012 that there were 830 disputes involving 60,000 families, mainly subsistence farmers. The number of conflicts increased as the agricultural frontier expanded, led by GM crops. The problem is that many poor families do not have legal title to their land, even though it may have been in the family for generations. Carballo pointed out that in 2012, Monsanto announced that it would not sell any more seeds to producers who had not signed contracts allowing the firm to oversee their use. Just a few months after that announcement, Monsanto reported that between 70 and 80 percent of soy producers had signed the contract. Under the agreement, producers not only pay royalties for planting the seeds but also promise not to save Roundup Ready seeds to replant, under threat of legal action. Monsanto, the biggest producer of GM crops in Argentina, was largely behind the expansion of transgenic soy in the 1990s, with its initial strategy of not insisting on the payment of royalties, agronomist Javier Souza, Latin America regional coordinator of the Pesticide Action Network, told IPS. “That allowed it to expand to all of the countries of the Southern Cone” of Latin America, said the academic. Monsanto is now responsible for 47 percent of the soy and 28 percent of the maize sold worldwide, according to the Inter-American Institute for Cooperation on Agriculture (IICA). The strategy now is to force farmers to sign the contracts. “The producers have no choice, nor can they reuse the seeds,” Souza said. He also said that in the northern province of Salta, the use of GM soy is spreading in small rural communities, threatening the survival of native seeds. “We need a law that promotes respect for the production methods of communities that preserve, improve, breed and trade seeds,” he said. The movement opposed to GM seeds suggests that Argentina could follow the model of the seed laws of Brazil or Bolivia, where GM crops are allowed but native seeds are protected and their use is promoted. Carballo said that with support from government or from international NGOs, in Bolivia, Colombia, Paraguay and Peru there are “seed guardians” who select and protect seeds in seed banks that are open to the public. Argentina also has local programmes for seed protection, like the one that has been operating for two decades in the northeastern province of Misiones. Through the native seeds programme, the provincial and national governments provide technical support and financing for the selection, preservation and breeding of seed varieties. “High quality seeds are produced there, which the state later purchases and distributes, because maize is the basis of production of proteins for small rural economies that grow barnyard fowl and hogs,” Carballo said. “This model foments rural employment and improves the quality of food,” he added. He said the case of Misiones shows that there are low-cost alternatives for preserving native seeds…and for doing so within a legal framework. Argentina is one of the most corrupt nations,so if its money for politicians…we just can say good bye to our future .It´s a sad shame.